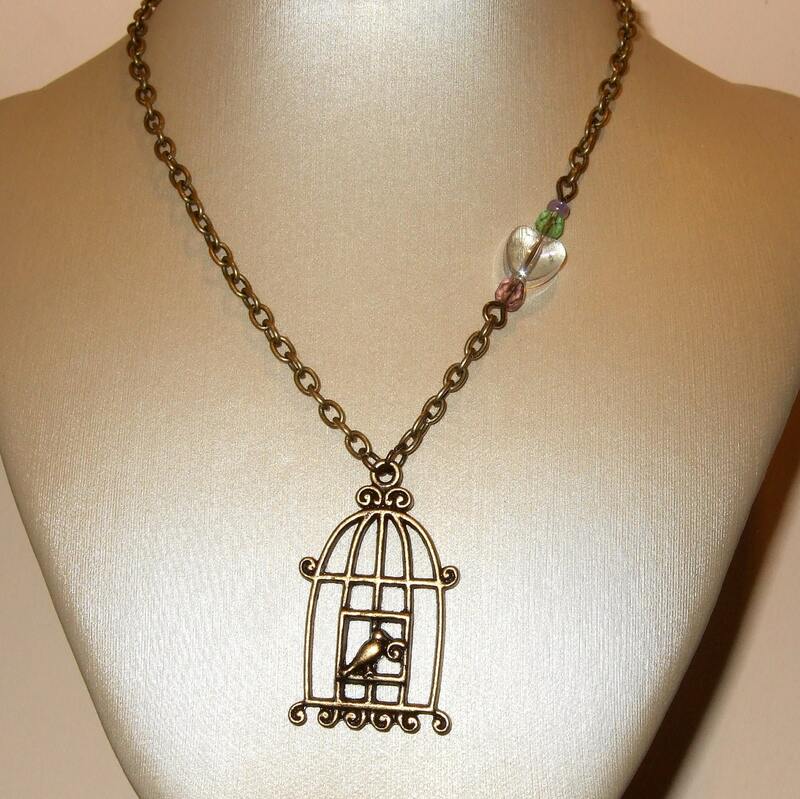 Birdcage necklace. Another one where the little bird in this birdcage is hanging around on the outside! 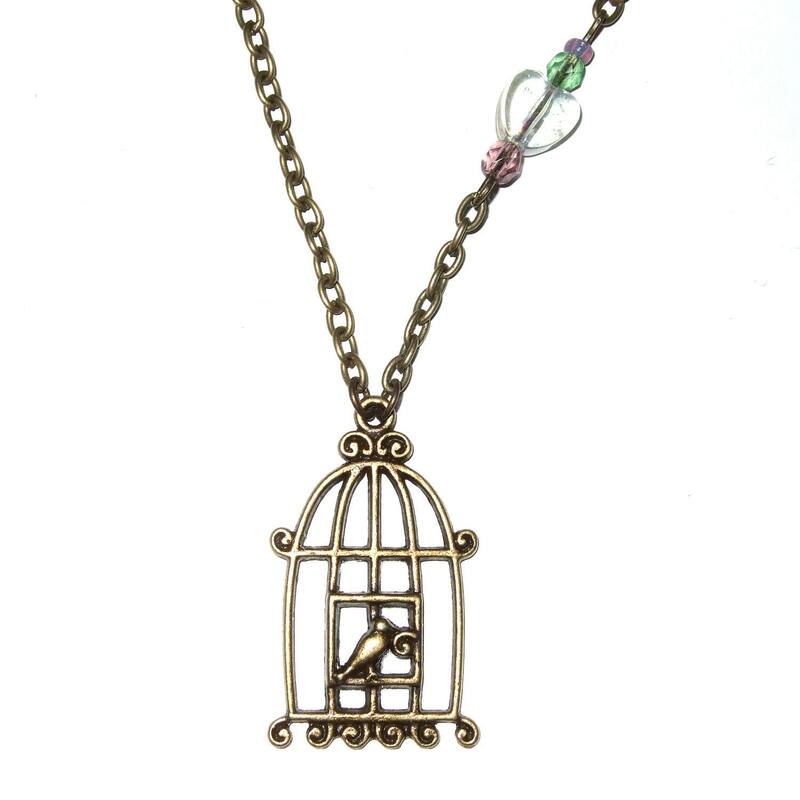 What's wrong with them all… Sweet little birdcage with bird, accented on the antique-bronze plated chain with an AB coated glass heart and pink and green faceted sparkling beads. 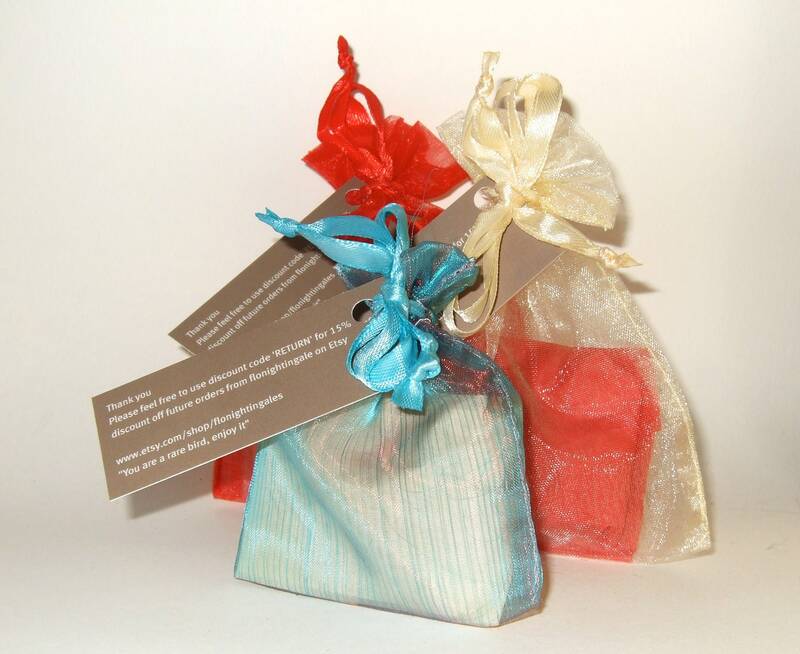 The necklace length is approximately 18"/45cm and fastens with a lobster claw clasp. 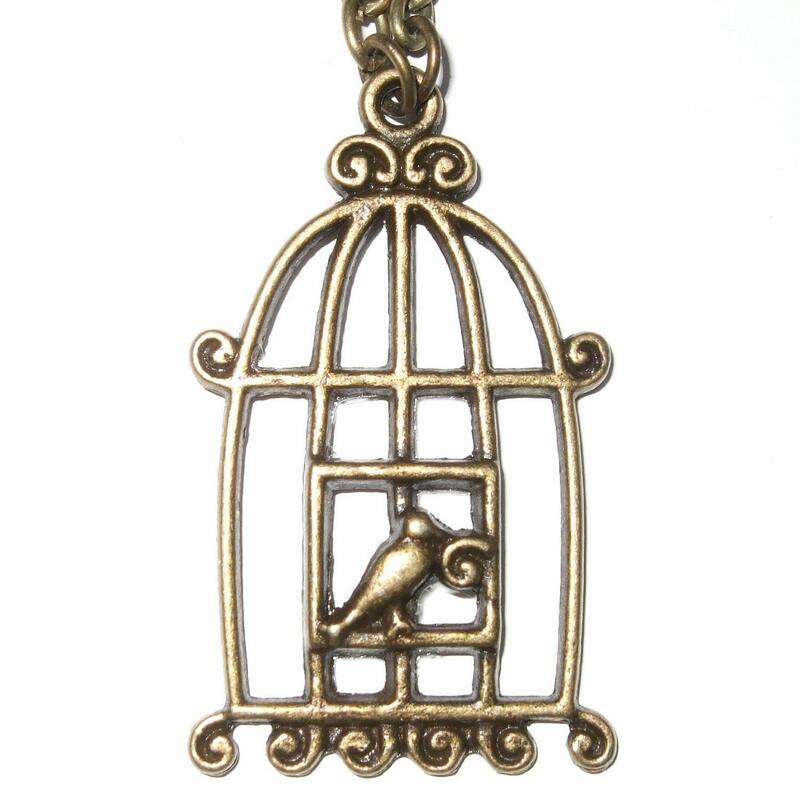 The birdcage drop section (from top of cage to bottom of bead) measures just under 1.5"/3.5cm. Chain is lead and nickel free. Oh, and I position all my necklace clasps on the right side of the necklace as you wear it - I know as a right-hander this works for me, but if you would prefer it on the left side please do let me know in the notes to seller - it's only a tiny thing but it's just easier to do up with the clasp on your preferred side!